Making your own hot sauce allows you to tailor it to your individual preferences. You can choose your favorite pepper to use, and control the amount of sugar, vinegar, and other spices. 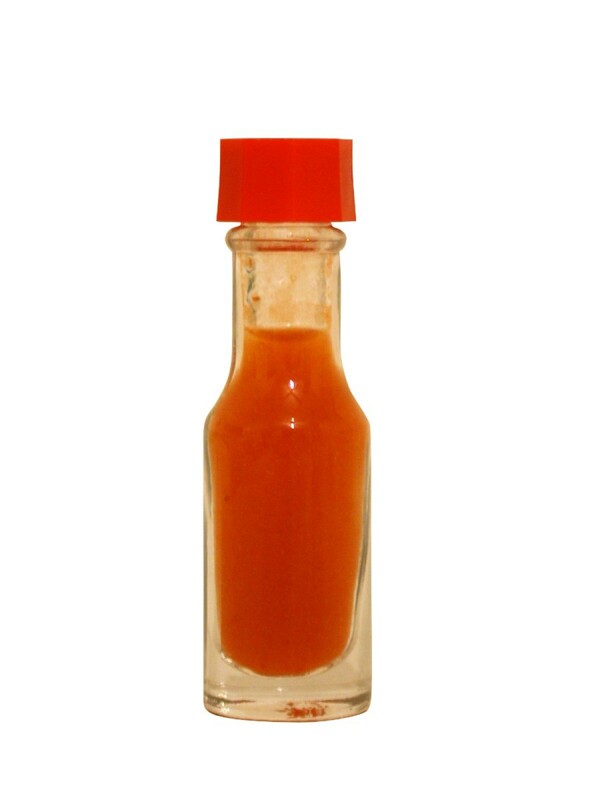 This page contains homemade hot sauce recipes. I recently made a hot sauce using lime juice (no vinegar) as the acid base. It also has cooked and pureed carrot, onion, garlic, and harbanero peppers, plus spices. I have two questions: #1 Once it steeped and was later opened I've since stored in the fridge. Will this sauce keep as long as a vinegar based, refrigerated hot sauce? #2 If I decide to can a batch, is the water bath method okay or should I use a pressure cooker? It was delicious, by the way. I just want to know the best way to preserve it! Thanks. This site may help answer your question. Also put "Canning salsa made with lime juice" in your brower. Some more sites that may help. I also made a pint of the first recipe listed, "Island Seasonings" and it is delicious, too. It's basically a flavored vinegar, but we have loved it over cabbage, brussel sprouts, and salad greens, so far, and still experimenting. It is easiest to use a recipe from a reliable source on cannng. Carrots have to be pressure canned unless they are pickled with the right amount of vinegar or citrus juice. Fresh limes might not have the proper level of acid. It's safest to use bottled lime juice, acidity level 5%. Also, I'm not sure that pureed carrots are safe to can. Some foods, when pureed, are dense enough it is feared they might not get to the right temperature. It depends on how much you thin that puree down. I have canned hot sauce, delicious, wonderful hot sauce, in the water bath canner. It's pureed, but thinned down (not strained - that just cuts your yield down). I love lime, so I used bottled juice. I thought it would be subtandard, but it's actually pretty good. There are a lot of good canning sources out there. One of the best is the Ball Guide to canning, Ball being a brand name. Does anyone have a copy cat recipe for the late, great Gebhardt hot dog chili sauce? (No hot dogs in it, it's the sauce for them). I noticed that their chili powder is available again, but no chili sauce! Thanks in advance.